Maillefer engine-driven instruments are crafted with the same dedication to performance and reliability as our trusted hand instruments. Manufactured in our Switzerland facility of specially formulated, superior stainless steel, they resist the corrosive forces of autoclaving and other sterilization methods. The instruments offer outstanding cutting efficiency, thus reducing user fatigue. In addition, easy identification is built into each instrument's design. Maillefer Hedstroms are notched for quick identification. ISO color coding also indicates the cutting diameter of each file. 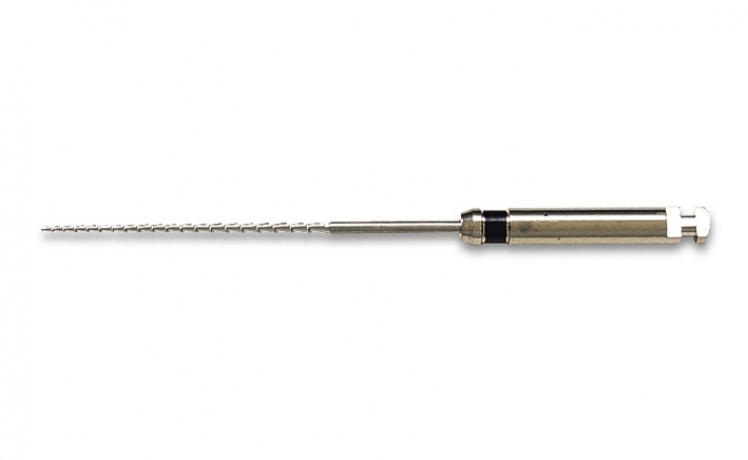 The engine Hedstrom must be used in a reciprocating hand piece.